Is your fireplace ready for winter? 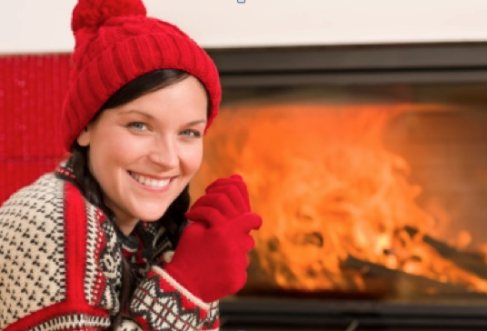 Winter is here: Is your fireplace ready? The winter solstice arrived at 12:11 p.m. (EST) today, marking the shortest day of the year. It’s already been winter-like for some of you. For the rest of the U.S., as the temperatures hover near freezing and the weatherman threatens us with snowy forecasts, we start to box up those beloved beach shorts, break out the winter coats, and start the fires roaring in the fireplace. But before that first toasty, delightful fire of the season, we have to make sure that our fireplaces are in tip top shape for winter. Doctor Flue has these easy tips to help you get ready! Inspections and cleanings performed by trained professionals is the best thing you can do to prepare for winter fireplace usage. Make sure your chimney inspection includes photos of the exterior and a video inspection of the lining and interior. The next step to winter fireplace preparedness is buying your firewood. Many homeowners hire contractors to deliver their wood, but you can also purchase firewood at stores. Some people prefer to cut their own wood, but using freshly cut logs is not recommended, as they tend to be high in smoke-causing moisture. A safe and intact screen will keep dangerous embers from escaping the fireplace. Make sure your screen is free of tears, holes, or other signs of wear, and replace if any issues are found. If there are young children in your home, it is also important to install an added barrier to keep little hands away. Opening your flue allows fresh air to feed your fire and provides a safe exit for smoke. A closed flue during fireplace use can cause your home to quickly fill with smoke. However, be sure to close the flue as soon as the fire has burned out. Store all ashes in a metal container until they are completely cool. Once cold, dispose of them outside, preferably far away from your home. Make sure everyone in your home understands fireplace safety. Never open the screen while a fire is burning and never place flammable materials in front of your fireplace. Has it been over a year since your fireplace has been inspected? If so, you’re due for a checkup! Remember, “Clean flues don’t burn,” Doc says. If your chimney hasn’t been inspected for creosote buildup, structural problems, or damage, now is the time.